TOKYO The utility behind Japan's nuclear disaster acknowledged for the first time Friday that it could have avoided the crisis. Tokyo Electric Power Co. said in a statement that it had known safety improvements were needed before last year's tsunami triggered three meltdowns, but it had feared the political, economic and legal consequences of implementing them. "When looking back on the accident, the problem was that preparations were not made in advance," TEPCO's internal reform task force, led by company President Naomi Hirose, said in the statement. "Could necessary measures have been taken with previous tsunami evaluations? It was possible to take action" by adopting more extensive safety measures, the task force said. The disaster's aftereffects continue to be felt by one of the elite rescue workers who responded to the accident, Yukio Takayama. 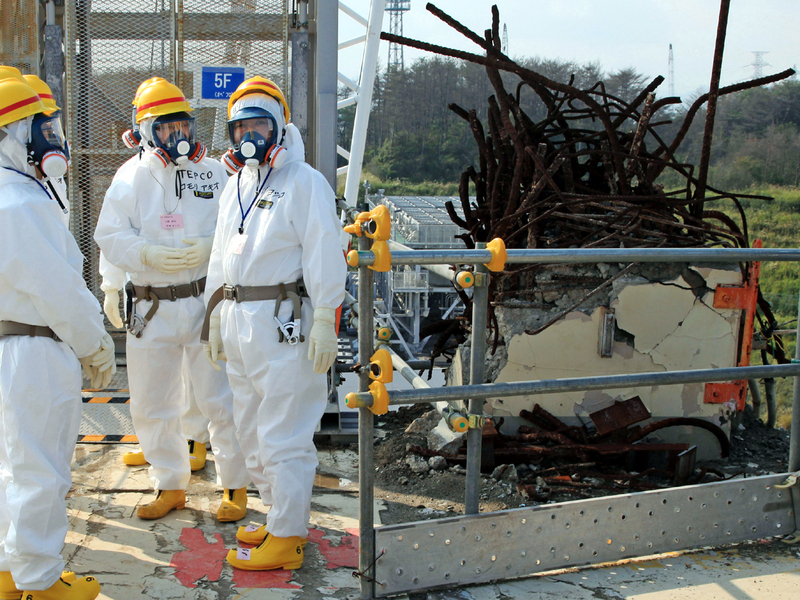 "We feel remorse for the people of Fukushima, who still can't return to their homes," he told CBS Radio News reporter Lucy Craft earlier this week. TEPCO's statement was released after the first meeting of its internal reform committee, led by former U.S. nuclear regulatory chief Dale Klein. His five-member committee oversees the task force's reform plans. "It's very important for TEPCO to recognize the needs to reform and the committee is very anxious to facilitate the reform necessary for TEPCO to become a world-class company," Klein told a news conference. "The committee's goal is to ensure that TEPCO develops practices and procedures so an accident like this will never happen again." The reform plans aim to use the lessons learned at TEPCO's Kashiwazaki-Kariwa plant in northern Japan. The cash-strapped utility wants to restart that plant, but TEPCO officials denied the reform plans are aimed at improving public image to gain support for the plant's resumption. "The reforms are intended to improve our safety culture, and we have no intention to link it to a possibility of resuming the (Kashiwazaki-Kariwa) plant," said Takafumi Anegawa, the TEPCO official in charge of nuclear asset management. "We don't have any preconditions for our reforms." Additional safety measures have been installed at nuclear power plants nationwide since the accident under the government's instructions, including enhancing seawalls, adding backup power and cooling water sources, and developing better crisis management training. But plant operators will be required to take further steps as a new nuclear regulatory authority launched in September steps up safety requirements. Despite records indicating a major tsunami had once hit off Japan's northern coast, TEPCO took the most optimistic view of the risk and insisted that its 5.7-meter-high seawall was good enough. The tsunami that struck Fukushima Dai-ichi was more than twice that height. The company had said in its own accident probe report in June that the tsunami could not be anticipated and that the company did the best it could to bring the critically damaged plant under control, although there were shortfalls that they had to review. TEPCO bitterly criticized what it said was excessive interference from the government and the prime minister's office. TEPCO's Anegawa said the task force plans to compile by the end of the year recommendations "that would have saved us from the accident if we turn the clock back."